This is a professorship in the context of the cluster of excellence cfaed. His current scientific interests include organic synthetic methodology, organic synthesis and supramolecular chemistry of π-conjugated system, bottom-up synthesis and top-down fabrication of graphene and graphene nanoribbons, 2D polymers and supramolecular polymers, 2D carbon-rich conjugated polymers for opto-electronic applications, energy storage and conversion, new energy devices and technologies. He has published more than 430 research articles which have attracted more than 33660 citations with H-index of 87. He has been awarded several prestigious prizes such as IUPAC Prize for Young Chemists (2009), Finalist of 3rd European Young Chemist Award, European Research Council (ERC) Starting Grant Award (2012), Journal of Materials Chemistry Lectureship Award (2013), ChemComm Emerging Investigator Lectureship (2014), Fellow of the Royal Society of Chemistry (FRSC, 2014), Highly Cited Researcher (Thomson Reuters, 2014-2017), Small Young Innovator Award (2017), Hamburg Science Award (2017), EU-40 Materials Prize (2018). He is an Advisory Board Member for Advanced Materials, Journal of Materials Chemistry A, ChemNanoMat, Energy Storage Materials, Small Methods and Chemistry -An Asian Journal. He is the Head of ESF Young Research Group "Graphene Center Dresden", and Working Package Leader of WP Functional Foams & Coatings for European Commission’s pilot project “Graphene Flagship”. Referee for research grants in NSF, US Department of Energy, ESF, ISF and Fondazione Cariparo and Fondazione CariModena. Sabine is a certified foreign language correspondent and joined the team of the Chair for Molecular Functional Materials in October 2014. She is working as secretary for Prof. Feng and assists the team in all administrative matters. Janett is working as laboratory technician, supporting Prof. Feng's group in all technical issues. 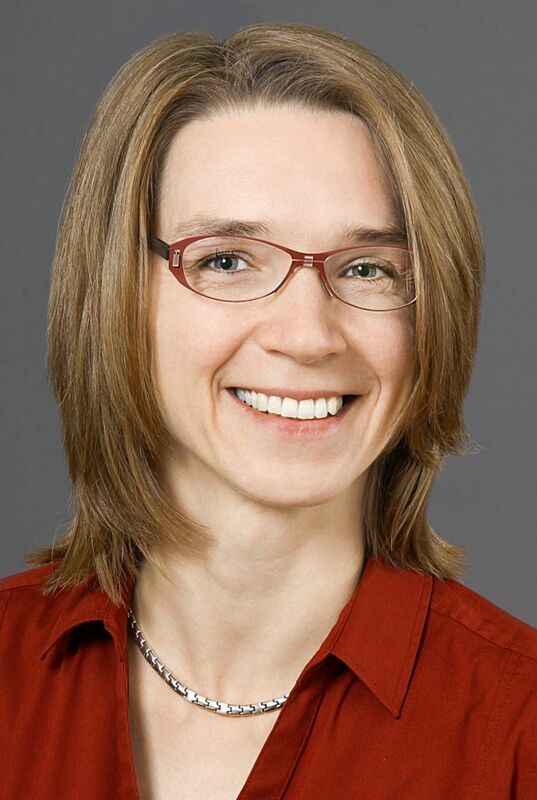 She is part of the team of the chair for Molecular Functional Materials since February 2016. Her background is in chemical analytics in the semiconductor industry. Patrick joined the group in May 2016. 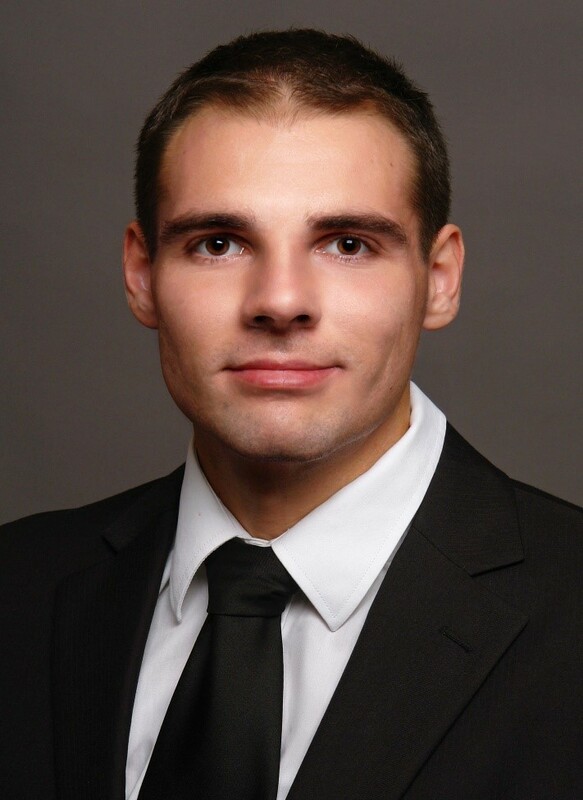 Daniel received his diploma in the field of organic materials synthesis in March 2015 from Johannes Gutenberg University Mainz. In July 2015 he joined the Chair of Functional Molecular Materials as PhD student. Doreen is a PhD in the Chair of Molecular Functional Materials since December 2014. From 2009 to 2014 she studied chemistry at the Technical University of Dresden. Her previous research focused on polymer characterization. Mino received his master degree from the Universtiy of Bologna in September 2017. He joined Professor Feng's group in November 2017 as PhD student focussing on energy conversion. Guangbo received his master degree in July 2016 from Northwest University, China. He joined Prof. Feng’s group as a PhD student from February 2017. His current research topic focuses on the synthesis of novel 2D nanomaterials and their applications in catalytic energy conversion. Renhao received his PhD in Physical Chemistry from Shandong University in 2013. Since 01/2017, he is a research group leader at the Chair for Molecular Functional Materials in TUD. His current research interest focuses on synthesis of organic 2D crystals (2D polymers/COFs/MOFs) and their applications in electronics and energy technology. Yubin received his Master's Degree in March 2015 from Shanghai Jiao Tong University. His major is Organic Chemistry and his research area is synthesis of organic functional molecules. Since April 2015 he joined Professor Feng's group as a PhD. Ronny has a background in chemistry where he collected diverse knowledge in the fields of organic (diploma), inorganic (PhD) and macromolecular chemistry (PostDoc). In October 2014, he joined the Chair of Molecular Functional Materials at cfaed. Junzhi Liu received his Ph.D. Degree in January 2016 from Max Planck Institute for Polymer Research in Mainz. Afterwards he joined Prof. Feng’s groups as a postdoc. Since April 2017 he is a research group leader at the Chair for Molecular Functional Materials in TUD, responsible for the curved and 3D carbon nanostructures, as well as their applications for organic electronics. Kejun received his Bachelor’s degree in 2011 and Master’s degree in 2014 at the College of Polymer Science and Engineering, Sichuan University, China. He joined Prof. Feng's group as a PhD student from March, 2015. Martin received his PhD in Inorganic Chemistry in 2014. He has profound experience in the field of process development and optimization as well as up-scaling and commercializing inorganic specialty materials. In January 2015 he joined our team with the focus on upscaling the electrochemical exfoliation of graphene. Thorsten received his Bachelor’s and Master’s Degree from the University of Heidelberg and joined Prof. Feng’s group in June 2016 as PhD student. His current research interest focuses on the bottom-up organic synthesis of novel polycyclic aromatic hydrocarbons. Ji Ma received his Master's Degree in July 2015 from Fudan University, China. Since August 2015 he joined Prof. Feng's group as a PhD student. His current research topic focus on the organic synthesis and application of nanographene and graphene nanoribbons. Jason studied chemistry at the Technical University of Dresden from 2010 to 2015. He received his master’s degree in metal organic chemistry in the group of Prof. Knölker. 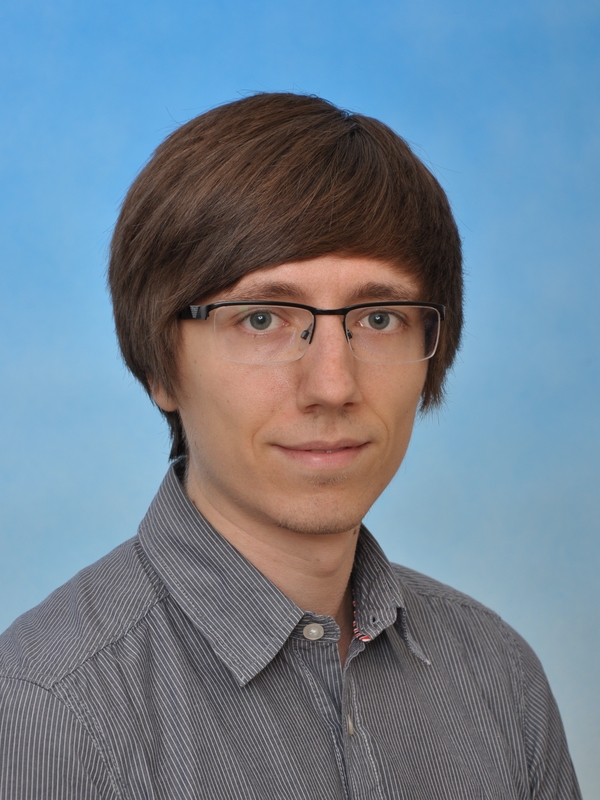 Since November 2015 he joined the Chair of Molecular Functional Materials as a PhD student. M. R. Ajayakumar was awarded Ph.D. in Chemical Science from Jawaharlal Nehru University (India) in 2013. Afterwards, he carried out a postdoctoral research at Institut de Ciència de Materials de Barcelona (Spain). In October 2016, he joined the Chair for Molecular Functional Materials, cfaed as a visiting researcher where he is focusing on the synthesis of novel polycyclic aromatic hydrocarbons. Naisa Chandrasekhar, received PhD (Chemistry) from University of Hyderabad (UoH), India in 2014. He has been working as a post-doctoral researcher in Prof. Feng’s group since August, 2015. His current research interests are focus on “design and synthesis of 2D-fully-conjugated organic polymers for electronics, energy conversion and storage applications. SangWook Park received a B.S. in chemical engineering from Seoul National University (Korea) in 2008, M.S. in chemical engineering from the University of Tokyo (Japan) in 2011. From 2011 to 2016 he worked at GS Caltex Corporation as a research engineer. In August, 2016 He joined Prof. Feng's group as a PhD student. His research interests center on interfacial synthesis of 2D material. Dominik received his Master’s degree in the field of conjugated polymers from the University of Heidelberg (Prof. Bunz) in May 2017. After an internship at Wacker Chemie AG in Munich he joined Prof. Feng’s group as PhD student in November 2017. His current research interest focuses on the synthesis of novel 2D polymers and applications thereof. Marcus started his studies in chemistry at the TU Dresden in 2009. He received his Bachelor’s degree at the Chair of Macromolecular Chemistry in 2012. In 2014 he finished his Master thesis about polymer hydrogels. Since December 2014 he is a PhD student at the Chair of Molecular Functional Materials at cfaed. In September 2014, Hafees received his master degree in Nano biophysics at BIOTEC, TU Dresden. His previous research focused on surface characterization of Nanoparticles. He is a PhD student at the Chair of Molecular functional materials at cfaed since February 2015. Ali received his PhD in June 2016 from “macromolecular chemistry department of Martin Luther University Halle-Wittenberg”. He joined Prof. Feng’s group in July 2016 and his current research interest is on upscaling and modifying the electrochemical exfoliation of graphene. Huanhuan received her Master's Degree in Chemical Engineering from Xiamen University in July 2017. Starting from October 2017 she shifted to Prof. Feng's group at TU Dresden. Her main research interest is the exfoliation of 2D materials from solutions and the applications in electronics. Hanjun received his PhD degree from the Changchun institute of applied chemistry, Chinese Academy of Sciences in January 2017, then he joined Professor Feng's group as a post-doctor since February 2017. His current research interest focuses on low-dimensional carbon-based materials for energy conversion and storage applications. 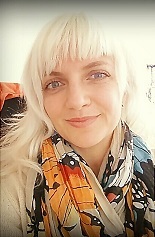 Valeriya obtained her PhD degree in Organic Chemistry in Ukraine. She joined Professor Feng's group as scientific researcher specialist in December 2014. Since January 2018 she is working as an analytical coordinator. Adrián received his Master's Degree in Chemical Engineering from the University of Santiago de Compostela in 2016. He joined Professor Feng's group in January 2017 as a PhD student, focusing on upscaling the production of electrochemically exfoliated graphene. Faxing received his Master's Degree in Physical Chemistry in June 2014 from Fudan University. Since December 2015 he joined Prof. Feng's group as a PhD student. His current research topic focus on 2D layered materials for novel energy storage applications. Gang received his PhD degree in physical chemistry from University of Chinese Academy of Sciences in July 2016. Since then he joined Prof. Feng's group as a postdoc. His current research interest focuses on low-dimensional carbon-based novel devices for energy storage applications. Huaping received her Ph.D. degree in Organic Chemistry from Institute of Chemistry, Chinese Academy of Sciences (ICCAS) in July 2018. She joined in Prof. Feng’s group as a Postdoc from October 2018. Her current research focuses on the synthesis and applications of 2D polymers. Mingchao received his master’s degree in October 2016 from Technical University of Dresden. Since November 2016 he joined the Chair of Molecular Functional Materials as a PhD student. Xia Wang received her Master's Degree in July 2017 from Tsinghua University, China. Since October 2017 she joined Prof. Feng's group as a PhD student. 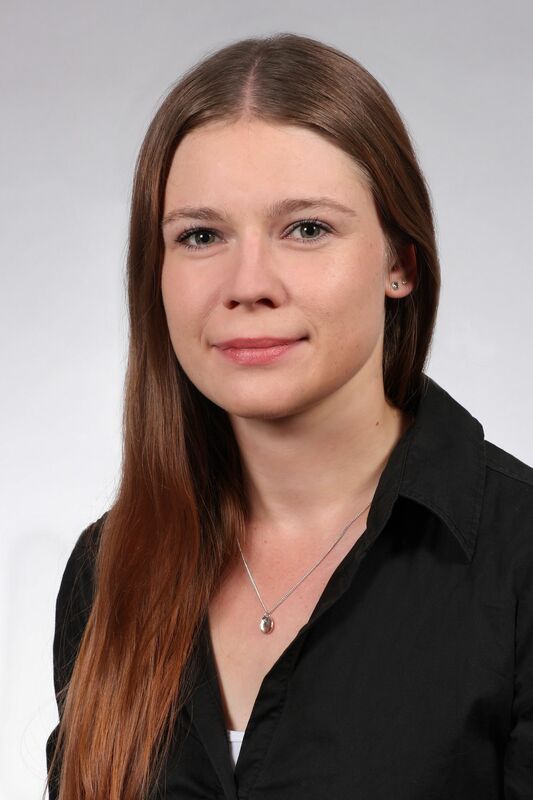 Her current research topic focuses on the synthesis of novel 2D nanomaterials and their applications in energy storage. Xu Wang received his PhD Degree in materials science in July 2014 from Sichuan University, China. 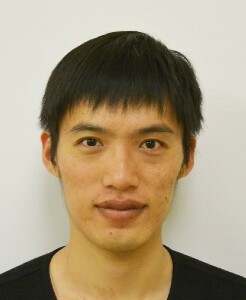 Since January 2019, he joined Prof. Feng's group as a postdoc. His current research topic focus on the organic synthesis and application of nanographene and graphene nanoribbons. Zhiyong received his Master degree in July 2017 from Nanjing University of Posts and Telecommunications. He joined Prof. Feng’s group as a PhD student from September 2017. His current research interests focus on synthesis of 2D polymers and their application in electronics and energy technology. Fupeng received his Master degree in June 2018 from Soochow University. He joined Prof. Feng’s group as a PhD student in October 2018. His current research interest focuses on development of novel polycyclic aromatic hydrocarbons or graphene nanoribbons for organic electronics. 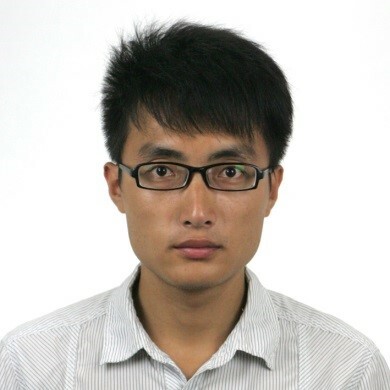 Kun Xu is a postdoc in Prof. Feng's group since August 2015. His current research interest is organic materials. Shunqi received his Master degree in July 2016 from Shanghai Institute of Organic Chemistry, Chinese Academy of Sciences. He joined Prof. Feng’s group as a PhD student from September 2016. His current research interests focus on organic synthesis of new two-dimensional materials and their applications in electronics. Junjie Yang received his Bachelor’s Degree in 2013 from Donghua University. In October 2018, he joined Prof. Feng’s Group as a joint PhD student. His current research interest is graphene-based material for energy storage. Minghao Yu received his Ph.D. degree in Material Physics and Chemistry from Sun Yat-sen University (China) in June 2017. He joined in Prof. Feng’s group as a Postdoc from December 2017. His research focuses on the development of nanostructured materials for application in energy storage and conversion. Jian Zhang received his PhD degree from the institute of coal chemistry, university of Chinese academy of science in 2014. Since February 2015, he joined Professor Feng's group as a post-doctor. His research interest is 2D materials-based energy conversion and storage. Jinjiang received his master’s degree in June 2018 from Xi’an Jiaotong University. Since August 2018, he joined into Feng’s group as a PhD student on the topic of “bottom-up synthesis of graphene nanostructures”. Panpan received his Bachelor’s Degree in 2012 and Master’s Degree in 2015 from Beijing University of Chemical Technology, China. His current research interest is the controlled synthesis of novel 2D layered materials for electronic and energy applications. He joined Prof. Feng's group as a PhD student from July 2015. Tao Zhang finished his PhD at the Chair of Macromolecular Chemistry in TU Dresden in 2015. Since January 2016, he joined in Prof. Feng's group as a Postdoc with the focus on synthesis and application of all conjugated/conductive 2D polymers. Zhen received his Ph.D. degree in Physical Chemistry from Institute of Chemistry, Chinese Academy of Sciences (ICCAS) in June 2018. He joined in Prof. Feng’s group as a Postdoc from August 2018. His research focuses on 2D nanomaterials for energy conversion devices. Haixia received her Ph.D Degree in inorganic chemistry from Changchun institute of applied chemistry, Chinese Academy of Sciences in January 2017. She joined Professor Feng's group in July 2017 as postdoc. Her current research interest focuses on 2D metal organic frameworks based materials for energy conversion and storage. Dr. Lucia Gemma Delogu served the University of Sassari, Italy, as Assistant Professor of Biochemistry (2012-2017). She has worked at the University of Southern California, Los Angeles (2007-2009), as visiting researcher at the Sanford-Burnham Institute of San Diego, CA, USA in 2008 and at the Department of Health and Human Services at the NIH in Bethesda, MD in 2013. Dr. Delogu has been appointed as Senior Visiting Professor under the “Program Excellence in Science” at Technische Universitat Dresden, Germany (2016, 2017). In 2011, she was selected as one of the “200 Best Young Talents of Italy” from the Italian Ministry of Youth (Rome, Italy). She served the European Commission as invited expert for review panels of FP7 FET Flagships. Beyond different National Grants she has been the Scientific Coordinator of two interdisciplinary European Projects on Nanomedicine involving 10 leading Institutions in EU and extra EU Countries including China, USA and Qatar. Dr. Delogu in 2018 joined the Institute of Pediatric Research in Padua, Italy where she is currently leading the ImmuneNano-lab. Within the Feng’s lab, as Marie Curie Individual Fellow, she is exploring future biomedical and immune-related applications of graphene nanoribbons. Wenhui received her Bachelor degree in 2016 at the College of Polymer Science and Engineering, Sichuan University, China. She joined Prof. Feng's group as a joint PhD student from September 2017. Her current research topic focuses on synthesis of ultra-long single graphene nanoribbons. Lihuan Wang joined in Prof. Feng's group with the focus on synthesis of 2D polymers and their applications in electronics and energy technology since 04/2016.